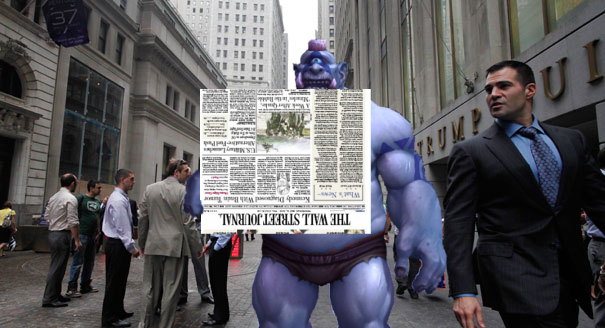 Nobody tinks a ogre can read, so dis newspaper be da perfect disguise fer a ogre in wit' da bulls an' da bears. Dagg is unanimous in dis. Hey, someone who works for Citibank!